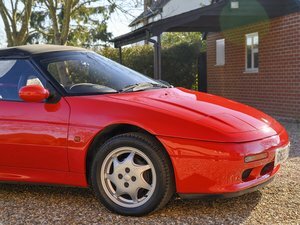 Mileage 13381 since rebuild prior to our ownership Passed MOT (10/04/2018) with zero advisories Road Licensed until 30th April 2019. 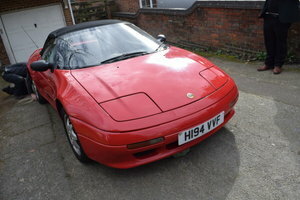 Starts first time and drives smooth, reliably and sweetly Stored in attached garage at home address 4-speed gearbox Toggle-switches 3-eared spinner knock-on wheels with rare cut out alloys, please see photograph Choice of two steering wheels leather 2 sets of keys Immobiliser Non-original items include electric fan, alternator. Paintwork not perfect some blistering, Almost new tyre tread Wheel mallet, spare wheel, jack (not original) and workshop manual also included A few examples of Work completed since our ownership Alternator has been installed original Dynamo is available Rotoflex coupling replaced in 2007 Clutch Master Cylinder and Slave Cylinder replaced in 2008 Engine Removed and Core Plug Replaced 2012 Recent maintenance (2018) includes New Plugs, reconditioned brake calipers all around, reconditioned hand brake. Twin Dellorto carburettors overhauled, cleaned and rebuilt including new o rings and studs. 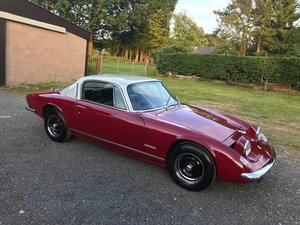 Alternator has been reconditioned in April 2018 The car has a solid rust-free chassis it has been kept dry and off winter/salted roads This Elan starts first time and is a joy to be driven, hard to hold back and is still a master of cornering. 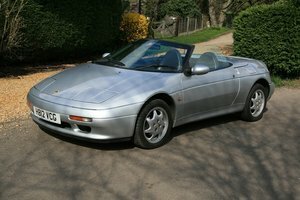 We have a history file dating back to 2002, original owner’s manual, old MOT certificates and Lotus workshop manual. 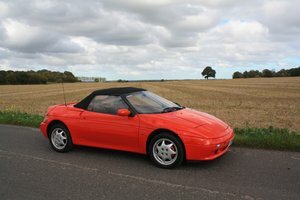 The car is located in South Lanarkshire, UK.